It has the quality and feel of Father Robert Barron’s elaborately produced Catholicism series, the orthodoxy of JPII-generation teachers and the spirit of the New Evangelization. Its name links the early Church to today’s faith. 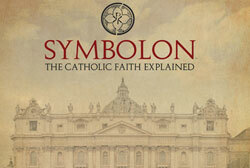 Symbolon is the new faith formation program produced by Edward Sri of the Denver-based Augustine Institute. Subtitled “The Catholic Faith Explained,” the program presents the faith with a series of high-quality videos and guides. Its somewhat cryptic name is an ancient term referring to the creed. And like the creed, it’s a good summary of the faith—and then some. In fact, Sri said, Symbolon was conceived when certain bishops suggested to the Augustine Institute “the great need for better resources for RCIA and better training for RCIA.” Sri pointed to a study showing that one out of three people who go through RCIA in the United States stop going to Mass within a few years. The video episodes include classroom presentations and interviews with people like Scripture scholar Tim Gray, FOCUS founder Curtis Martin and EWTN cooking show host Father Leo Patalinghug. The series was filmed in Rome, the Holy Land, Calcutta, and the Augustine Institute’s studios and classrooms. Sri sees it being used already in adult faith formation classes, Catholic men’s and women’s groups, Bible study groups and catechist training. He acknowledged the influence of Father Barron’s Catholicism series. The Augustine Institute’s ultimate aim, though, is not to be admired as award-winning filmmakers, but to advance the New Evangelization. With reflection on these and other questions, the parts of the broken seal—the symbolon—will be put together. The RCIA is a faith process to initiate adult candidates into the spiritual life of the Roman Catholic Church. The RCIA program is for adults unbaptised, baptized, or non-Catholic Christians who seek full communion with the Catholic Church, as well as baptized, but uninstructed Catholics. 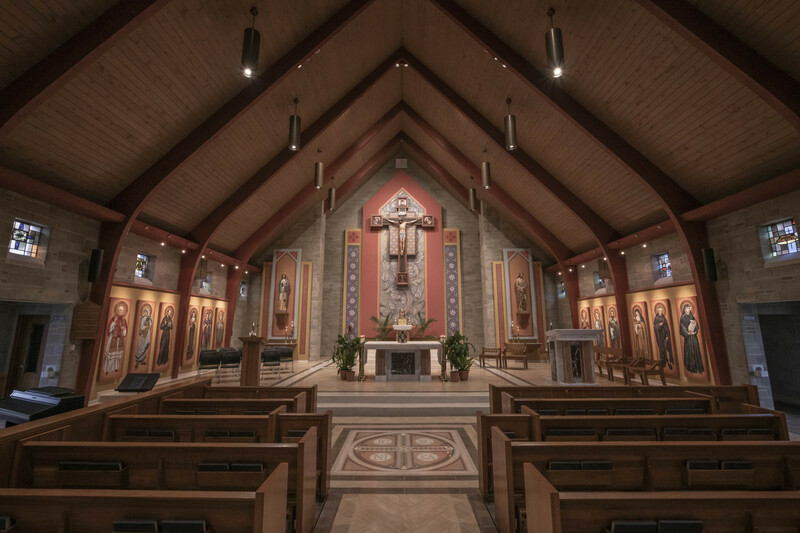 If you are interested in the Catholic Faith and wish to learn more about the Our Lady of Perpetual Help RCIA program, please contact Jim McCullough at (304) 623-2334 ext. 11. He will be glad to answer your questions.